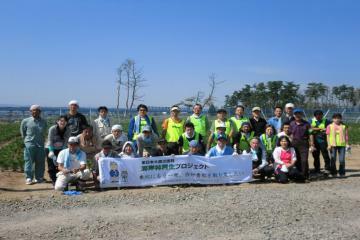 On September 20 and 21, OISCA organized group tours for on-site observation and weeding work at its nursery of black pine seedlings on the coastal area of Natori City, Miyagi Prefecture which sustained heavy damage by the Great East Japan Earthquake in March 2011. 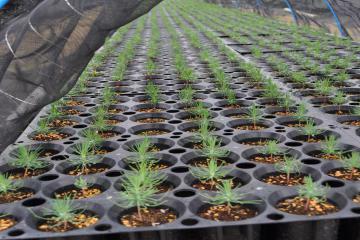 Since 2011, OISCA, a Japanese NGO for international cooperation, together with the disaster-hit local residents in Natori City, Miyagi Prefecture, is carrying out a 10-year project starting with raising seedlings of black pine and indigenous trees for recovering the coastal forest seriously damaged by the Great East Japan Earthquake in March 2011. 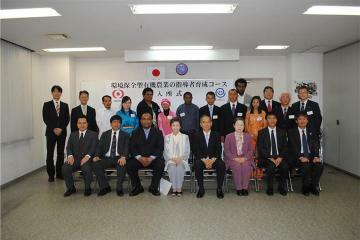 OISCA Project for Coastal Forest Restoration in Natori City, Miyagi Prefecture was referred to in the Annual Report on Forest and Forestry in Japan for Fiscal Year 2012 which was approved by the Cabinet Meeting on June 6, 2013 and was submitted to the 183rd Regular Session of the National Diet. On the 24th of April, OISCA organized a ceremony at the Headquarters to welcome the ten trainees from the developing countries of Asia and the Pacific, including Cambodia, Fiji, India (Tibet), Indonesia, Malaysia, Mongolia, Papua New Guinea and the Philippines.